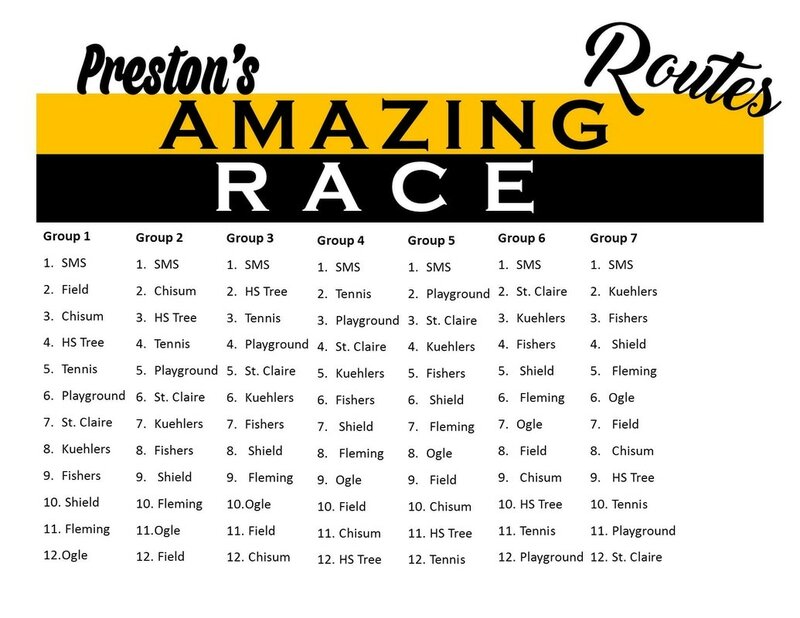 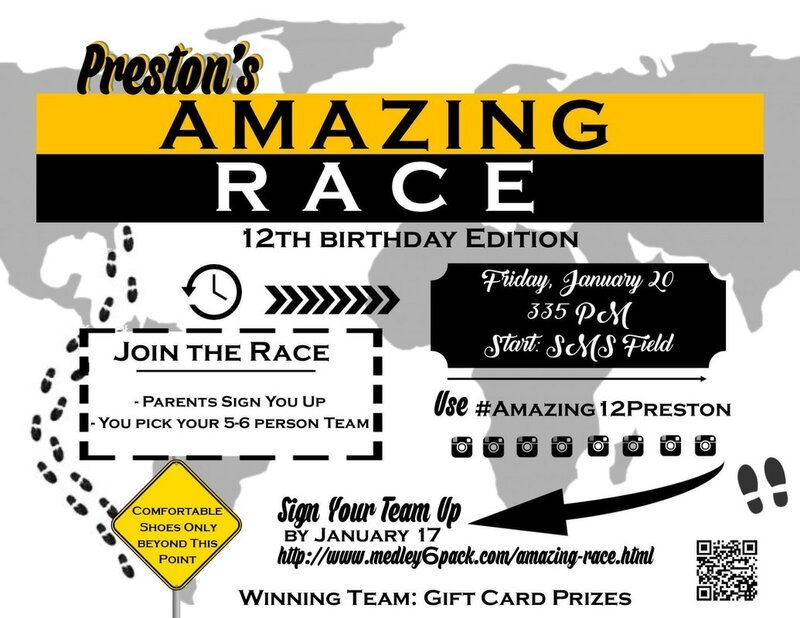 In order to pull this Amazing Race Bithday Party off, we will need LOTS of amazing parents to help. 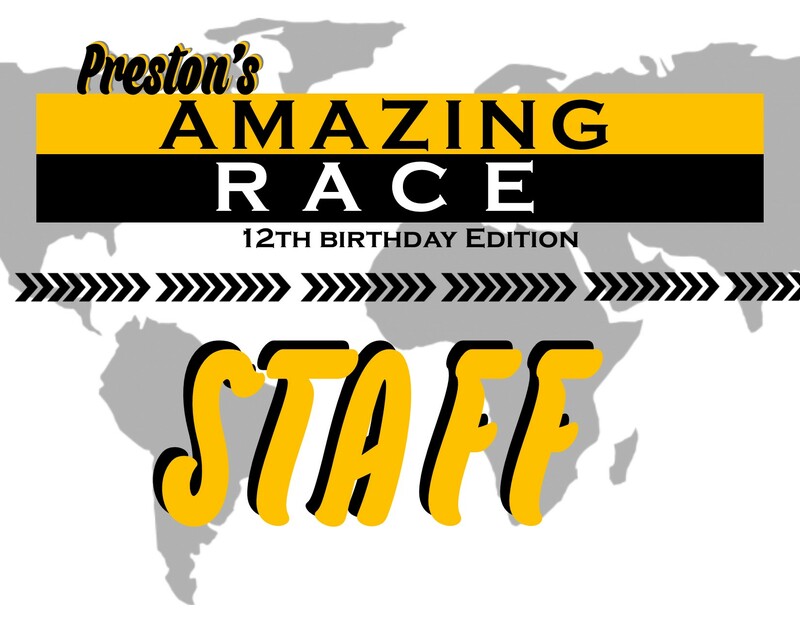 We will have 12 stops to represent the 12th birthday with 12 parents and teachers to host each of the locations and a few more to help racers along the way. 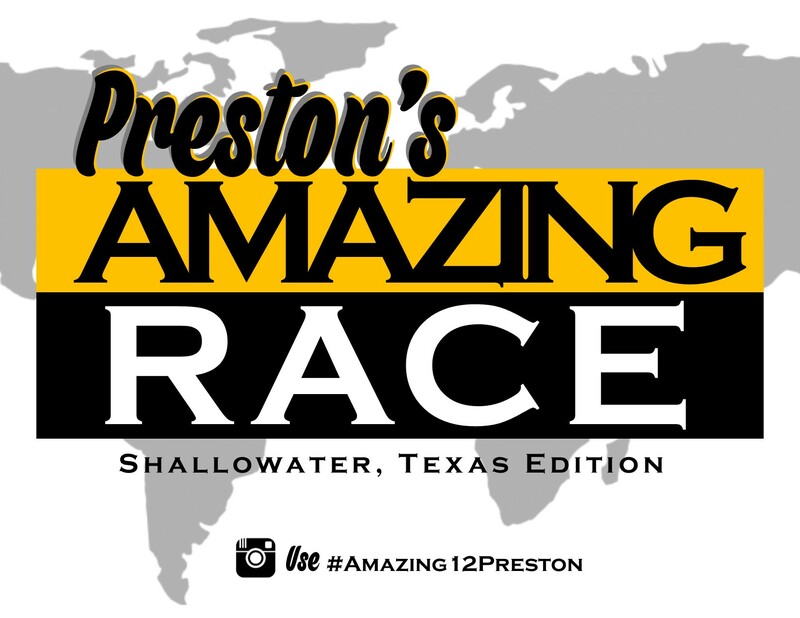 Folks helping will be outfitted with these super cool t's! These show the rotation of the groups through the stops. 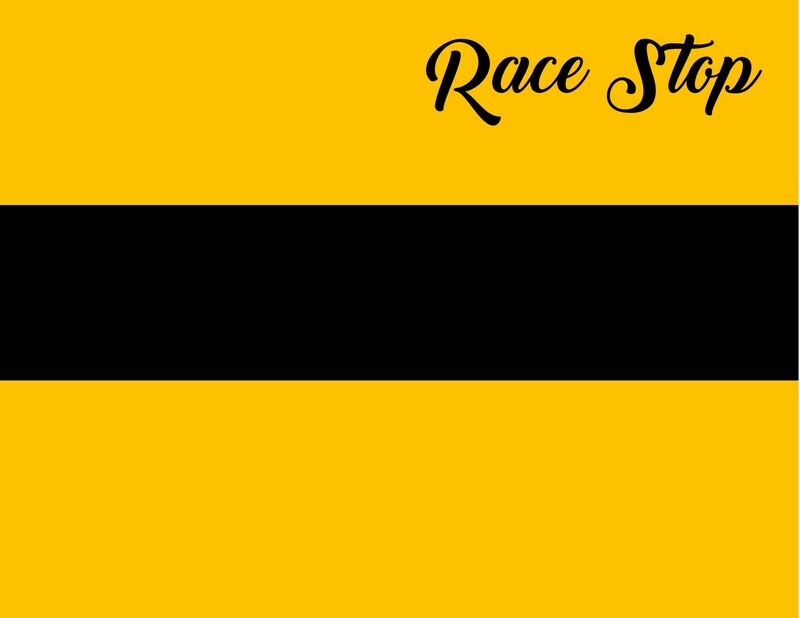 After the last group shows, send thme to the finish line at the SM Field. Come to for pizza!